Fanplayr, the first social consumer, game marketing coupon & offers platform, today announced a deal with Ifeelgoods, that enables customers of Magento merchants worldwide to add Facebook credits to their coupon and offer promotions. This deal with Ifeelgoods comes on the heels of Fanplayr’s “smart & targeted” multi-variable social coupons and offers integration into eBay’s X.commerce platform, which empowers Magento merchants to optimize their digital promotions with highly desirable, low-cost Facebook credits for greater returns on coupons and offers for the first time. “We are thrilled to be partnering with such forward-thinking companies as Ifeelgoods, X.commerce and Magento, who, like Fanplayr, are striving to make the internet retail experience more dynamic and profitable for both the merchant and the consumer and developing creative ways to do so,” said Simon Yencken, Fanplayr CEO. Fanplayr is the first multi-variable coupon and offer gamification platform to access the power of social, commerce and loyalty graph data to enable “smart & targeted” coupons and offers. Online sellers can add Fanplayr Social Game Coupons & Offers™ to their email, web, ecommerce, mobile and social pages to better reach, influence and convert social consumers to sales and with the Ifeelgoods partnership allow these coupons to be redeemed for Facebook credits. “Leading internet retailers like @WalmartLabs, 1-800-Flowers and more than 80+ others have turned to Ifeelgoods to access, manage and apply Facebook Credits as digital rewards to increase user engagement, campaign virality and ultimately, conversions. Our partnership with Fanplayr enables internet retailers to easily add Facebook Credits and other digital rewards to their Fanplayr coupon and offer promotions,” said Michael Amar, Ifeelgoods CEO and co-founder. 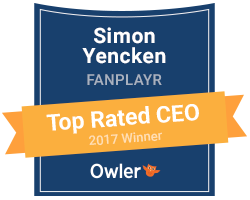 “We are very excited to partner with an equally innovative company as Fanplayr. At Magento, we put our customers first and are pleased that we are able to give our merchants more options in how they can attract and offer greater value to their customers through Fanplayr’s multiple coupon and offer programs,” said Roy Rubin, general manager of Magento and chief product and customer officer of X.commerce. Fanplayr is the coupon and offers platform designed to help marketers reach, influence and monetize the New Social Consumer across web pages, e-commerce pages, email newsletters, digital ads, mobile, Twitter & Facebook Pages. Using Fanplayr’s self-service campaign wizard marketers can set up a Fanplayr coupon game campaign in less than 20 minutes with no IT required. Fanplayr is the first company to apply social and mobile game mechanics to the multi-billion-dollar coupon and offers industry. Fanplayr is a privately held company with headquarters in Palo Alto, California. More information is available at http://www.fanplayr.com. Winner of the 2011 Web 2.0 Startup Showcase, Ifeelgoods enables brands and retailers to offer relevant digital goods, such as Facebook Credits, in marketing campaigns. Its more than 70 clients include @WalmartLabs, Universal Pictures, Gap, 1-800-Flowers.com, Redcats USA, Otto Group, Renault, and Debenhams. Ifeelgoods is a hosted solution that manages digital goods promotion offers, redemption, social sharing and customer service. The company is headquartered in Menlo Park, California, and has locations in New York and Paris. For more information, visit http://corp.ifeelgoods.com.